H & H Construction was founded 11 years ago originally as a property development business through the partnership of Haldane Lindsay & Hugh Cope. 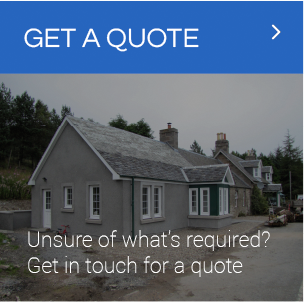 They both have a number of years previous experience in property & the construction industry, Hugh having worked as a Site Manager for Manorlane Homes and Haldane carrying out a number of property & barn conversions in the Perthshire area. Through changes in the property market and construction industry in the last few years, the business has diversified into private contracts for new build homes, extensions and conversions. Stone & block work including use of traditional lime mortars for conservation related work. Internal re-modelling and reinstatement including flood damage. Our plumbing subcontractor is a certified ‘Gas Safe’ engineer and electrician registered with the ‘Select’ tradebody. We use the same two subcontractors for all our work so have an excellent relationship with them for reliability, quality of work & price.